December Of Books Giveaway Hop – Escape Reality, Read Fiction! 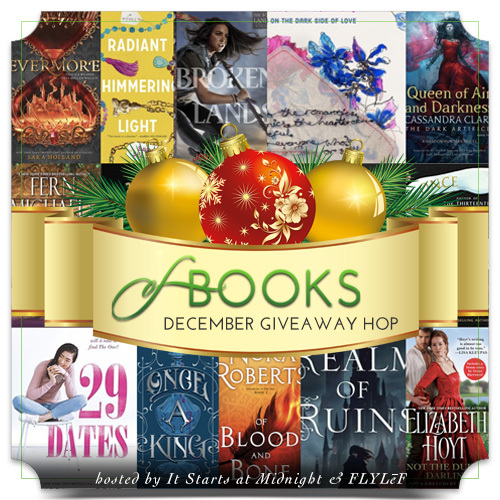 Welcome to the December Of Books Giveaway Hop, hosted by It Starts at Midnight and Flylef! The question, this month and every month, is what book or books are you most looking forward to this month? As a special case for December, the question may possibly be what book or books are you most hoping to find among your holiday presents? 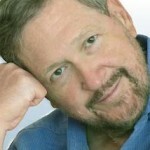 Because of the holidays, the period between Thanksgiving and New Years Day is a bit of a fallow period for publishing. Not many new books come out this month, particularly in comparison to the big spring and fall publishing seasons. Which doesn’t mean there aren’t a few really good books on the reading horizon. And that’s an excellent thing, because the winter months are always a great time to curl up with a cup of tea or cocoa, a good book, and a sleepy cat. There are a few books I’m really looking forward to this month. There are always a few books I’m looking forward to every month. But this month in particular, there’s For the Sake of the Game, edited by Laurie R. King and Leslie S. Klinger. This is the latest entry in their annual collection of new stories inspired by the Sherlock Holmes canon, and it always contains one or more marvelous stories. I’m sure that this year will be no exception. There are also two historical romances that look like a lot of fun. One is Not the Duke’s Darling by Elizabeth Hoyt. This is the first book in her new Greycourt series. It’s always good to get in at the beginning, because her series are always excellent. Eva Leigh’s London Underground series has certainly been terrific, so I’m also looking forward to the upcoming book in that series, Dare to Love a Duke. And last but certainly not least, comes The Gown by Jennifer Robson, all about the fascinating women who made Queen Elizabeth II’s wedding gown. This book should be very, very grand indeed – just like the gown itself. What about you? What book or books are you most looking forward to this month? 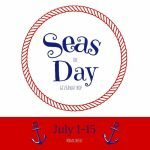 Answer the question in the rafflecopter for a chance at your choice of a $10 Amazon Gift Card or a $10 Book from the Book Depository! For more terrific bookish prizes, be sure to visit the other stops on the hop! Pieces of Her by Karin Slaughter. Before We Were Strangers by Brenda Novak, it looks so good! Thank you! I am in search of a great read right now, haven’t found anything lately that has kept my attention. I’m blaming the holiday insanity! Gosh, I don’t think I have any new pre-orders expected in December so I’ll probably concentrate on my TBR pile, especially some of the holiday books I’ve been collecting. I don’t have any specific reading plans for the month, but I’m looking forward to finishing Becoming, Michelle Obama’s memoir. I started the audiobook last month, and it’s amazing! This month I’m looking forward to Queen of Air and Darkness. Kingdom of the Blind by Louise Penny but as it’s #14 in the series I’d have to get 1 – 13 as well as a prezzie to myself. That should keep me going over Christmas! I don’t have any that I’m excited for… There are a few at look interesting like Dirty Little Secret (Wild Rose Ranch #1) by Jennifer Ryan. Queen of Air and Darkness. I need to know how TDA ends. My Favorite Half-Night Stand by Christina Lauren. I’m wanting the next two books in The Corgy Mysteries series that will be released this month. Verity by Colleen Hoover sounds good! Dare to Love a Duke. I’m looking forward to the book The Gown by Jennifer Robinson. I’m looking forward to Debbie Macomber Alaskan Holiday. Queen of Air and Darkness by Cassandra Clare and Relm of Ruin. 29 Dates. But wow, the cover of The Gown us stunning. Thanks! I ordered myself The History of Magic for Christmas, so I can’t wait for that! Of Blood and Bone by Nora Roberts! I’m looking forward to Verity by Colleen Hoover. The Gown by Jennifer Robson looks interesting to me. I am really looking forward to Not the Duke’s Darling! That sounds so good! I love her books. I am most looking forward to The Gown by Jennifer Robson this month. Verity by Colleen Hoover !!! Queen of Air and Darkness. I just picked up a copy of The Kingdom of the Blind by Louise Penny. I’ve been waiting to get my hands on it. Maybe Verity by Colleen Hoover? I already have The Gown on my TBR list–hope it is as good as it looks to be. I’m looking forward to reading Blood and Bone by Nora Roberts. I want to read Becoming by Michelle Obama. Fire and Heist by Sarah Beth Durst, and 29 Dates by Melissa De La Cruz both look interesting to me. I want to read Queen of Air and Darkness! Queen of Air and Darkness is what I am excited about!!! I’m looking forward to reading Daughters of the Lake by Wendy Webb. Queen of Air and Darkness! I loved it! I look forward to Dare to Love a Duke by Eva Leigh. Dare to Love a Duke looks good. Queen of Air and Darkness! 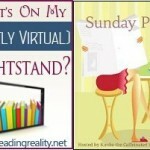 Pingback: The Sunday Post AKA What’s on my (Mostly Virtual) Nightstand 1-6-19 – Escape Reality, Read Fiction!